If you’re reading this post, you’ve probably had the dream too. You know the one. The one where the backdoor of your campervan is wide-open, facing the sea. A mug of tea is steaming in your hand, and you wiggle your toes in the crisp morning air. If you’ve ever had this dream–or a version of this dream, you’re not alone. It’s the simple joy of living in a small space with only what you need and nothing you don’t. There’s happiness in owning less, and an entire world out there to experience. 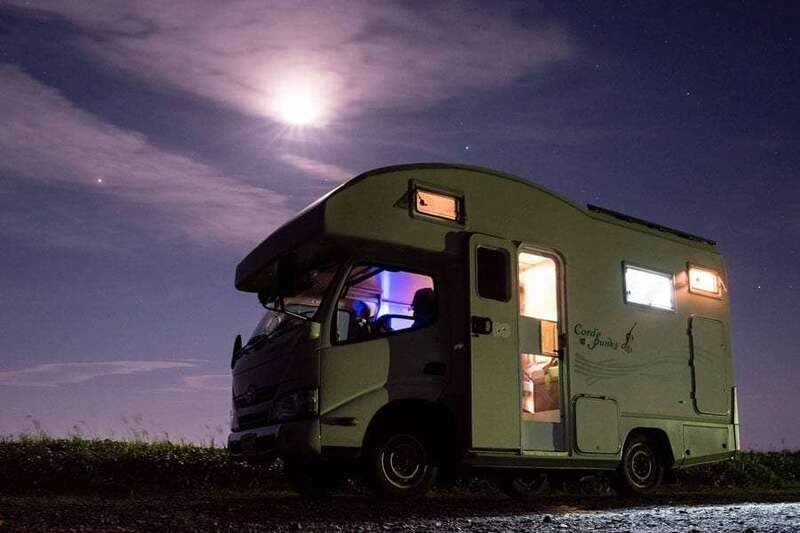 More and more people are realizing the value in this way of living; whether it means life on the road in a tiny house, a traditional RV, or a good ‘ol campervan. So how does one decide? Your home of choice depends on two major factors: your lifestyle and your budget. Let’s take a closer look at some of the options out there. 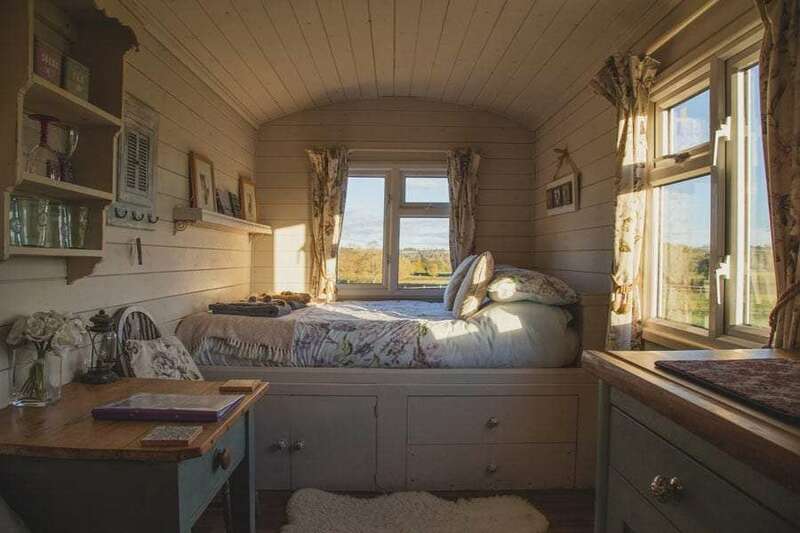 The inside of a tiny house on wheels. Tiny houses on wheels are typically no more than 500 square feet and are built securely on a trailer. Fitted with similar features to a standard house, tiny houses are a comfortable option for long term living. The main challenge with tiny houses, is that finding a place to live in a tiny house isn’t as easy as one might think. There are currently a number of regulations that tiny house enthusiasts must abide by that vary from place to place. Tiny houses look and feel like a regular house, only smaller. Long-term living is possible, if not luxurious. Stands out! A house on wheels is a beautiful thing. Finding a place to live in your tiny home can be difficult. Many modern features and customizations can make it pricey. Can be difficult to tow at high speeds on windy roads. Can’t be parked in most residential areas. A tow vehicle is needed. Stands out, even when you would prefer to blend in. The largest manufacturer of tiny houses in North America, and one of the oldest names in the business. This tiny house company offers a certified tiny home with the ability to add all the bells and whistles. This tiny house builder offers a large number of stock models, or a customized tiny to suit your lifestyle and budget. Although based in Northern California, Sierra Tiny Houses can deliver anywhere in the United States. Something important to note: they’re also a dealer for one of the best trailer companies in the country! RVs or recreational vehicles, are often thought of as those giant boats on wheels that belong to vacationing grandparents. This is not so much the case today; RVs have come a long way in terms of driveable size and comfort. A number of different sizes separated into classes make this option compatible with a variety of lifestyles and needs. 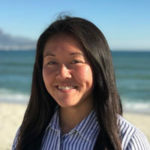 We cover every type of RV, including vans and travel trailers, and what they're like to travel full-time in + how to look through one when you buy it and so very much more! Similar to a bus and often 20 plus feet in length. This class of RV is usually luxurious and not very fuel efficient. A popular choice for traveling musicians! Customization for long-term or off-grid living is possible, but also pricey. Standard RVs without customization can feel sterile design-wise. Premium comfort at a price; this RV comes with the finest residential amenities at a starting price of about $500,000. If apartment-style luxury is your cup of tea, then this could be the vacation home on wheels for you. Campervans fall into this category of RV. Not as spacious as a class A, but far more maneuverable. These vehicles usually come with everything you need at a fairly decent price. Their size makes them easier to manage on windy highways, as well as more easily driven in residential neighborhoods. On the downside, it’s more difficult to live long-term if you are uncomfortable in smaller spaces. 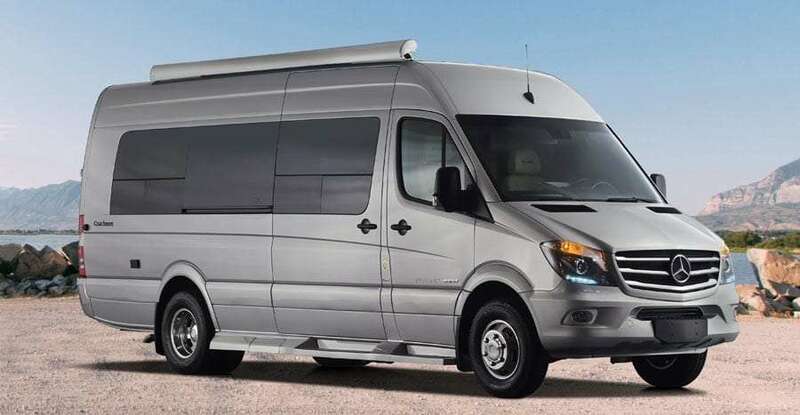 A combined effort with Mercedes to create a quality-meets-luxury RV. 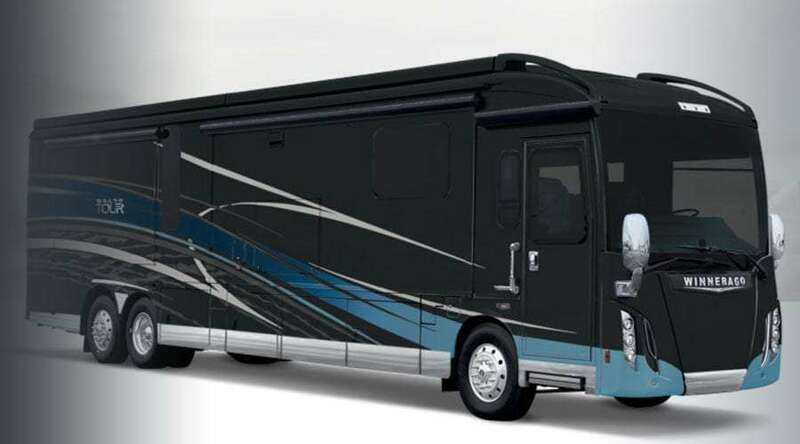 This class B RV offers a vehicle built to get off the beaten path in style and comfort. Easier to handle than a class A because they are built on a truck chassis. 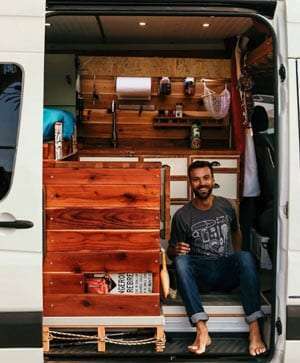 The extra space makes it a great option for longer trips or more people. However, it also means it’s more difficult for these vehicles to get to those hard-to-reach campsites. This RV is one of the most versatile options out there. Based on the chassis of a Ford E-450 Super Duty, the Thor Quantum offers a ton of strength to be able to tow 8,000 pounds. A popular choice in today’s world of living on the road. The conversion van is an excellent option for anyone wanting to do hands-on and cost-efficient customization. Can be customized however you like!